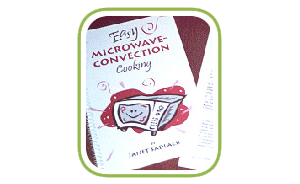 Janet Sadlack has been helping consumers use and understand their microwave ovens for many years. She worked for several years as a home economist for a national food company and then taught high school foods classes for a few years. Her introduction into microwave cooking was helping write the first book for the Litton Microwave Oven. Since then she has written many microwave cookbooks, taught classes across the country and developed a newsletter about microwave cooking to help people learn to use the oven for more than just “reheating”. In more recent years she has devoted much of her time to helping those with microwave-convection ovens, especially in the RV industry. Many RVs install a microwave-convection oven to serve as both the oven and microwave so the normal oven space can be used for storage. For many this is a new way of cooking and sometimes difficult to understand. Her frequent seminar presentations on microwave-convection cooking at national, regional and manufacturer’s rallies are always filled. The insights into how to use the oven have helped many feel comfortable with the oven and understand the many cooking tasks possible with the oven. Her cookbook, Easy Microwave-Convection Cooking, has become a staple in many RVs. So whether you are interested in microwave cooking or looking for help and ideas to use your microwave-convection oven, you will find many resources here. Explore the site, try some recipes, attend an upcoming seminar and/or e-mail me with any questions or comments. I love to hear from you! The company that provided the 800 service discontinued service earlier this year. For now email is the best way to contact me. If you need immediate assistance, you can try my cell: 612-269-2056. Just $12.50 online! (Includes first class shipping anywhere in U.S.) Order your copy today and start making delicious meals in your microwave-convection oven!